Suara Sarawak: Berawan Victory At Mulu – End Taib’s Landgrab Laws! 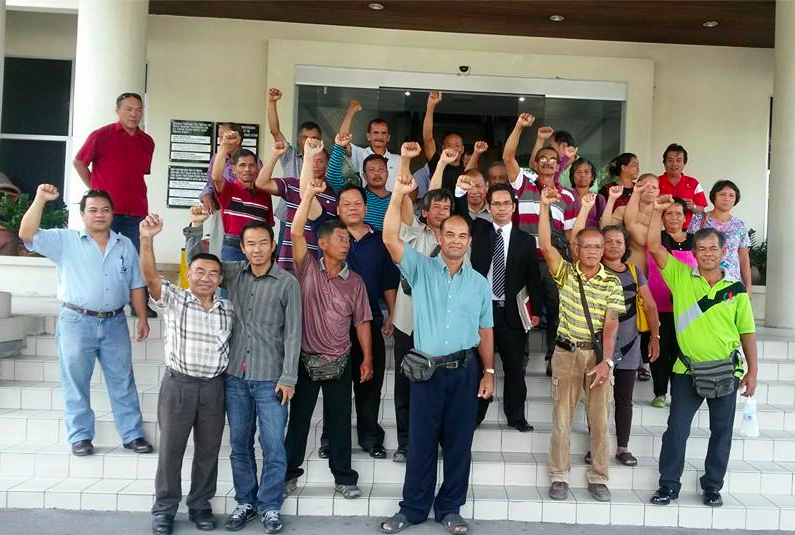 Berawan Victory At Mulu – End Taib’s Landgrab Laws! Back in the 1990s Taib’s pet sister Raziah Mahmud and her ambitious third husband, the Lebanese Australian Robert Geneid, decided to build a jungle playground called Borsamulu, near the Mulu bat caves. Victory – but odds are that the criminal state government will just drag the matter out with further lengthy appeals in yet another example of abuse of power. The project became their grand dream together and no expense was to be spared. Indeed, in order to clear a path for incoming planes into the attached airport, the top of an entire mountain had to be blown off – at enormous financial and environmental expense. This was made possible by a decision by Raziah’s brother, the then Chief Minister Taib Mahmud, to get the state financed Sarawak Economic Development Corporation (SEDC) to back the enterprise. This meant that the whole project could be accomplished at the public’s expense. And, in a classic modus operandi, this public financing was combined with Taib family gain. 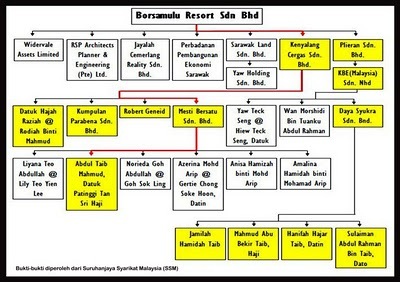 It can be seen how a whole swathe of the Chief Minister’s family members gathered up shares in the Royal Mulu Resort/ ‘Borsamulu’ through a network of companies, including Mesti Bersatu, Plieran, Kenyalang Cergas and Daya Syukra. 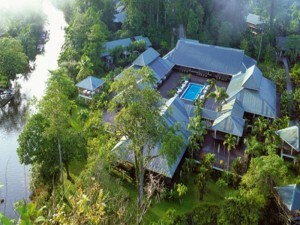 As Sarawak Report exposed back in 2011, even the Chief Minister himself has a hefty chunk of the shares in this extravagant ‘Royal Mulu’ resort – a rare lapse in his usual strategy of taking care to disguise his myriad company ownerships through private ‘trust’ deals with close family members. Inconveniently, the land on which Taib’s family chose to erect their charming jungle hide-away just happened to belong to somebody else. Glorious – except it does not actually belong to the Taib family and now they are found guilty of illegal expropriation. The Berawan tribe have lived in the region from time immemorial and the Raja Brookes and the British had been pleased to acknowledge their rights in colonial times, which then became enshrined in the constitution before independence. Nevertheless, Taib Mahmud clearly decided that his immense personal power as a ‘democratic’ leader, commanding all the combined offices of state for several decades, could over-rule such petty matters. A strange approach for a trained lawyer, others might think. He passed a decree that declared that the entire area was ‘state land’, which he could therefore personally confiscate and hand to his own family. The Berawan protested back in 1994 and they have been protesting ever since. 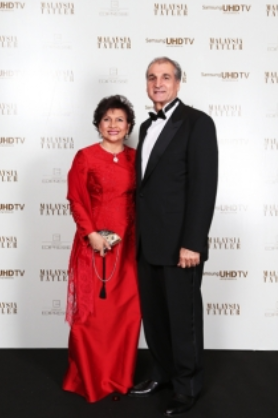 Sarawak’s top land-grabbing award must surely go to the greedy Geneids? This week, after six years of legal wrangling, these tribespeople finally got the matter through the High Court with regard to the specific instance of that exotic airport and its runway, blasted by the Geneids into the once fabulous and pristine jungles of the UN World Heritage region. 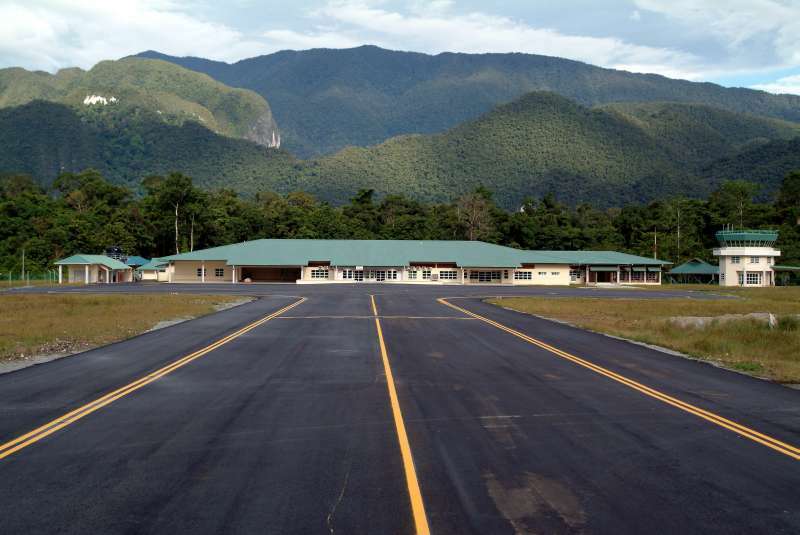 In line with a long string of judgements in favour of native rights against the state government, the High Court of Sabah and Sarawak concurred with the view that the land for the airport had been illegally confiscated without compensation and that recognition of ownership was due. The land rights lawyer and opposition candidate Abun Sui, who has been doughty in supporting cases against a string of land grab outrages against the Berawan, today told Sarawak Report that this landmark decision would unleash a host of other cases if he has anything to do about it. After all, the Geneids also took the entire area of the resort under the same pretext, without compensation. The best they have offered is jobs to the local people, serving at tables and dancing about in traditional clothing to welcome the over-fed guests arriving at their hotel. 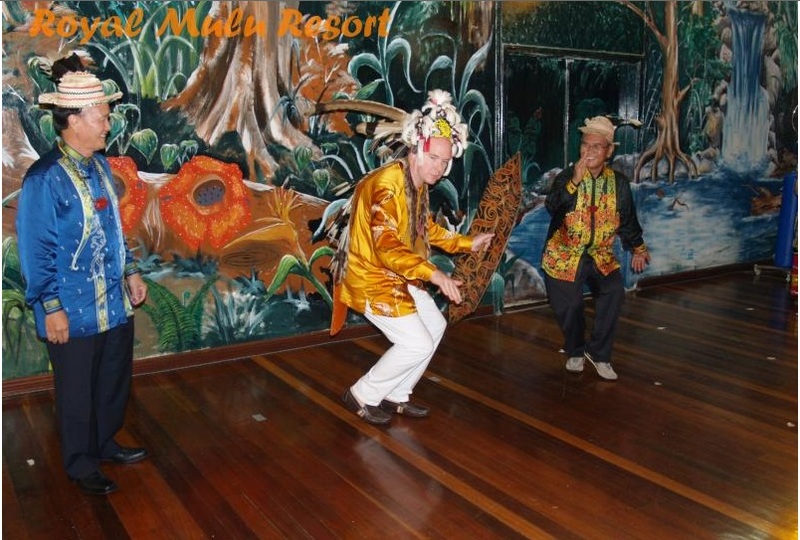 Prince Albert of Monaco gets into the act at the ‘Royal’ Mulu Hotel. In return, the Geneids paid a huge sum into his ‘environment’ campaign – it was funded by kickbacks paid by the crony Hii family, who have received vast timber concessions from Taib. Of course, Taib does not accept the ruling of the law, which was designed for others not himself. Abun Sui today confirmed that the state government has formally indicated that it will contest the matter in the Appeal Court, along with every other defeat of the discredited Sarawak Land Code over the past several years. Even after several Federal Appeal Court rulings have upheld the judgements against Taib, the state government has refused to budge and to amend its illegal land laws. However, the longer the regime holds out, the worse the eventual retribution will be. Meanwhile, this supposed development project has of course lost money hand over fist. The resort rarely receives paying guests, while the Geneids and their guests have enjoyed numerous extravagant occasions there for free. The US-based Marriott Hotel Group have now injudiciously agreed to buy out the management of this ill-conceived adventure from the now out of favour Geneids, with the intention of marketing Mulu as an ‘Eco-resort’. Marriott stands informed that this ‘eco-hotel’ is anything but. It also stands on illegally confiscated land, which Abun Sui promises will be part of the next up-coming law case by the Berawan tribe.